A new coalition in the Hasidic community is pledging to improve instruction for their children, following complaints that dozens of New York City yeshivas fail to provide enough secular education. The coalition, Parents for Educational and Religious Liberty in Schools, or PEARLS, hired a team to create lessons in math and English that they believe will meet state standards. 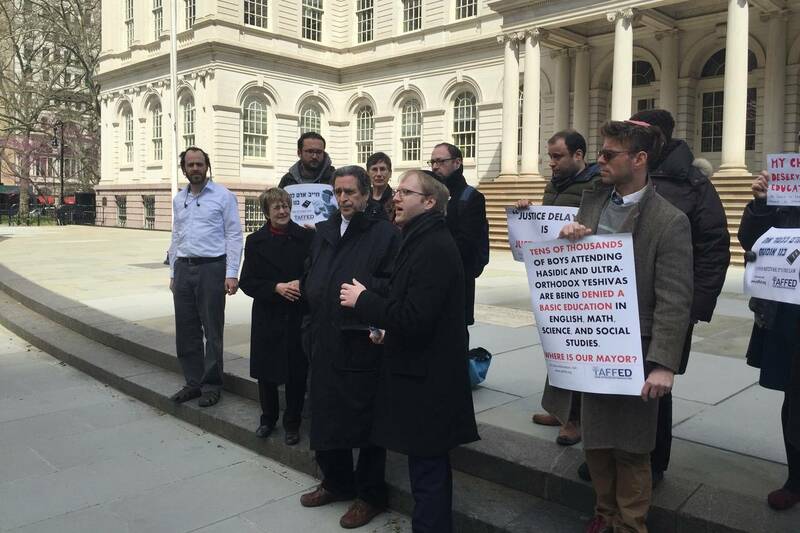 This push comes after a group called Young Advocates for Fair Education sent the city Department of Education a letter a year ago saying 39 yeshivas, mostly in Brooklyn, fell far short of state mandates. The letter from former yeshiva students and current parents said these schools typically taught secular subjects for an average of 90 minutes a day, with boys age 13 and older being taught only Judaic studies. Young Advocates for Fair Education demanded the city enforce a state law that requires private schools to provide an education “substantially equivalent” to public schools. It appears that this is a serious attempt to satisfy state requirements. Experts have been hired to accomplish that and have promised to do so. Many hours have already been devoted to this project. And they have been in and consultation with publishers of educational materials to help devise curricula that respect the religious sensibilities of Satmar and other Chasidic schools. This all sounds very exciting to me. If this effort bears the fruit it promises to bear, then young Satmar Chasidim going through the system will indeed be better prepared to meet the challenges of the 21st century. At least as far as earning a living is concerned. Hopefully along with the curriculum changes will come a change in attitude about the value of those studies and those that teach it. I doubt that Satmar will go to the time, expense, and trouble to meet state standards while still bashing what they implement. Naftuli Moster, executive director of Young Advocates for Fair Education, said he hoped the new coalition was sincerely striving for change but was “very skeptical.” He said he had heard about PEARLS being developed months ago as a “PR stunt…basically designed to mislead the DOE and the public” and to evade enforcement. Mr. Schick, of PEARLS, said the curriculum overhaul took thousands of hours of work from many professionals, and Mr. Moster’s comments “demonstrate a greater interest in bashing Hasidim than in enhancing education. Furthermore. judging from their reactions to the current ‘government interference’ and referring to Moster as a Moser (informant against fellow Jews) it seemed highly unlikely that Satmar would ever capitulate to such demands. So a healthy dose of skepticism by Moster does not prove that his intent is to bash his old community. It only shows that as an expatriate Satmar Chasdi - experience has taught him to be skeptical of them about these things. So I don’t blame him at all. I am willing to bet that if PEARLS is successful along the lines it promises to be, that Moster will be the first one to cheer. And the loudest! I know I will. Instead of thinking of Moster as a Charedi basher, I see him as the ultimate hero here. Had he not brought pressure to bear, I doubt that there would have been any serious or substantial change forthcoming. There may have been some cosmetic changes or at best a bit more time given to secular studies to satisfy the quiet grumblings of unsatisfied parents. But surely the attitude would remain the same. Indeed! If anyone deserves credit for this, it is Naftuli Moster who founded YAFFED. If he has an anti religious agenda, he has a strange way of trying to implement it.